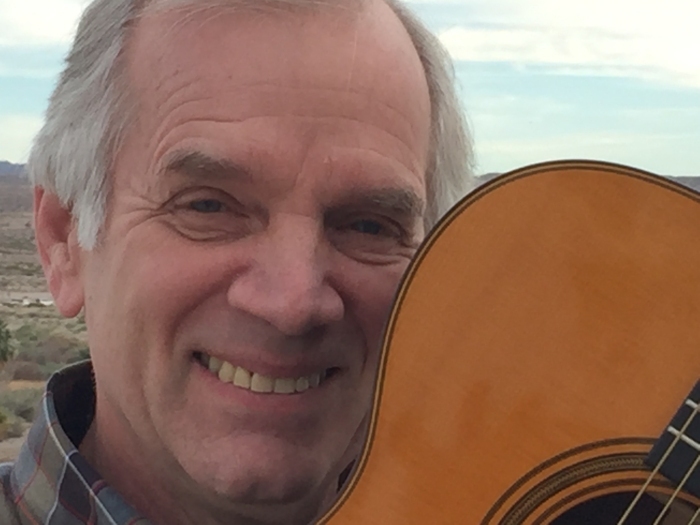 Rick Dougherty doesn't remember a time when he didn't sing, and his beautiful tenor voice has garnered him compliments from Judy Collins, Chet Atkins and Tom Paxton, to name just a few. It has also led to a long and wide-ranging career in music. As a youth he performed solo throughout the West, developing a versatile finger-style guitar technique to accompany himself and expanding his repertoire from folk to standards and jazz. He graduated Sonoma State University in 1987 and in the following thirteen years directed 37 operas, and was the arranger for two a cappella groups. In 1990 he became a member of The Limeliters and performed with them until 2003 when he left the group to sing with Glenn Yarbrough as part of the "This Land Is Your Land" folk tour. At the end of the tour in 2005, he was invited to join The Kingston Trio with whom he performed nationwide until late 2017. Rick continues to perform across the country and conducts workshops on voice and guitar. He recently published "Sounding Good on One Guitar," a guitar manual for beginning to advanced intermediate players which has received excellent reviews. He is currently working on a CD which, at the rate things are going, should be finished just before the polar caps melt. 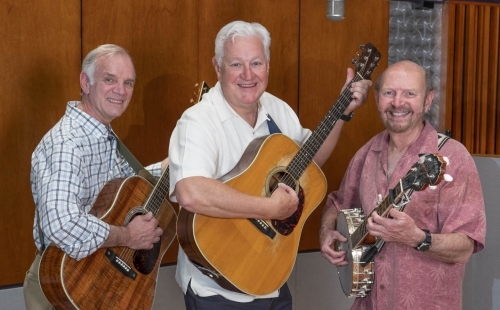 In the Fall of 2018, Rick announced that he and George Grove would be teaming up with Jerry Siggins, a fabulous lead baritone, to form a new trio, The Folk Legends, now called the Folk Legacy Trio. They performed several shows in the Fall of 2018, and will be back on tour in March of 2019. I am thrilled to announce that George Grove and I have teamed up with Jerry Siggins, a fabulous lead baritone, to form a new trio, the Folk Legacy Trio (briefly called, The Folk Legends). Of course you all know that George and I were most recently members of the Kingston Trio; George was with them for a few weeks short of 41 years, and I for 12. Jerry was a member of the Dapper Dans, the famous barbershop quartet that performed at Disneyland for fifteen years in California, Florida and Tokyo. He then sang for five years with an Irish band, and for the past 27 years he has been singing lead with the famous 50s group, The Diamonds. Jerry brings all that experience and his wonderful voice to the new trio and we can't wait for you to hear how those harmonies ring out. We'll be performing what George calls the "Great American Folksong Book," singing music that will span then entire Folk Era; from the Weavers, Merle Travis and Tennessee Ernie Ford in the early 50s through the commercial success of such groups as The Kingston Trio, Peter, Paul & Mary, The Chad Mitchell Trio and The Brothers Four as well as solo performers Tom Paxton, Judy Collins, Joan Baez, Gordon Lightfoot, John Denver and many others. It will be wonderful to expand into this broad range of music with such powerful vocals and we hope you'll have a chance to hear us once we start touring. Check out our promotional video below. Friday, March 29, 2019 (7 PM): Berger Center - Oakmont Village, 6633 Oakmont Drive in Santa Rosa, CA. Friday, April 19, 2019 (8:00 PM): The Coffee Gallery Backstage, 2029 N. Lake Ave, Altadena, CA	91001. For reservations, call (626) 798-6236 between 10 AM and 10 PM. Reservations are strongly suggested. Seating is limited. No payment necessary when you make telephone reservations. Pay by cash or check at the door at the time of the show. Saturday, April 20, 2019 (7:00 PM): The Coffee Gallery Backstage, 2029 N. Lake Ave, Altadena, CA	91001. Second night! For reservations, call (626) 798-6236 between 10 AM and 10 PM. Reservations are strongly suggested. Seating is limited. No payment necessary when you make telephone reservations. Pay by cash or check at the door at the time of the show. Saturday, June 22, 2019 (8:00PM) Sun City McDonald Ranch, Henderson, NV. Sunday, June 23, 2019 (4:00PM) Italian American Club, Scottsdale, AZ. Monday, August 5, 2019 - Saturday, August 10, 2019 Americana Folk Music Camp, Scottsdale Plaza Resort, Paradise Valley, Arizona 85253. Private Event. Sunday, August 11, 2019 (3:00PM): Scottsdale Plaza Resort (Grand Ballroom), Paradise Valley, AZ 85253. Tickets $25, available at the door and in advance in suite 7205, hours to be announced. Saturday, September 28, 2019: Church-McKee Arts Center, Potomac State College, Keyser, WV. Details and ticketing to follow. Sunday, March 15, 2020: Chandler Center, Chandler, AZ. Details and ticketing to follow. Rick performing live at the Kingston Trio Fantasy Camp in August 2017. The songs are his own original song "Yuma Fever" and John Shine's "If You Ever Want Me." After years apart, Rick performed again with the Limeliters early this year, filling in for Don Marovich. It was a rare opportunity for folk aficionados. 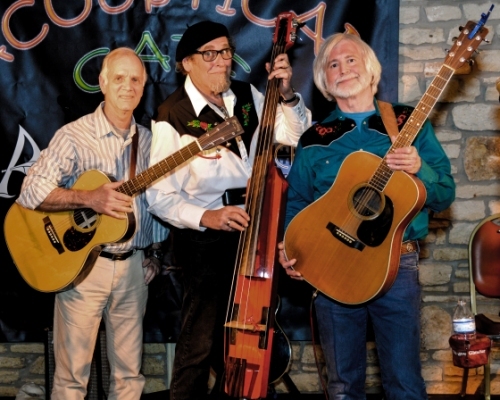 The concerts were in Austin, TX and Altadena, CA, and in Palm Desert, CA with The Brothers Four.